The Videx Audio Kit 8K-6 surface is a stylish access control flush audio door entry kit based on the 8000 Series modular design incorporating two way speech, electronic call tone and lock release facility. The Videx 8K-6 panel has an aluminium finish with black surround and a backlit name window which holds an easily replaceable name card. This audio kit is perfectly suitable for a small residential home or office. 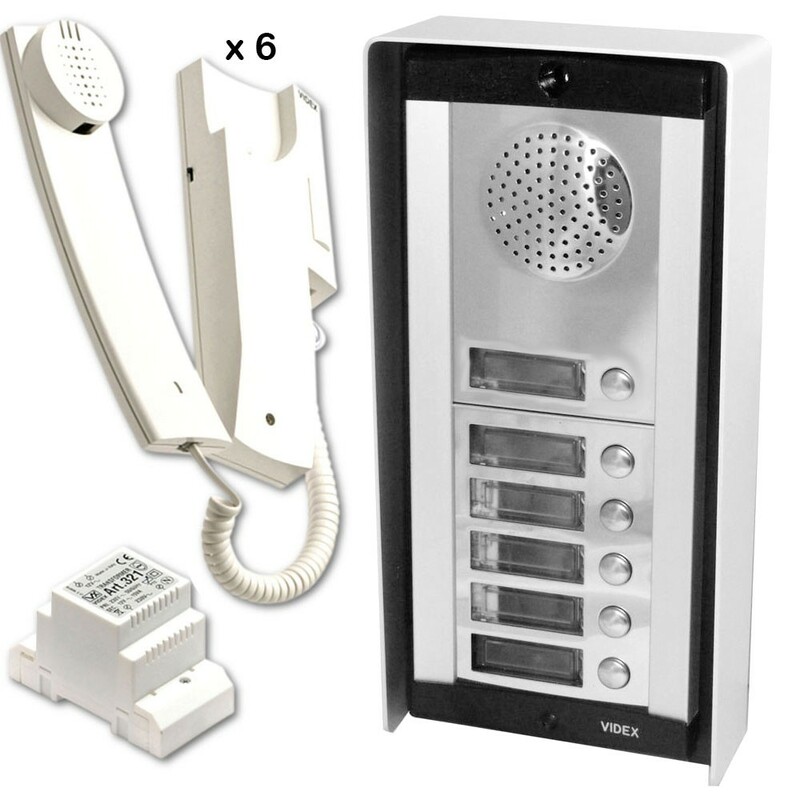 It features full duplex communication, meaning that the visitor and resident can speak with each other simultaneously.